It's double or nothing with this beautiful ring set from Apples of Gold jewelry collection. Two white gold bands are a best bet with their carefully carved design set into the ring. Texture also gets fair play in this set with each edge lined with a small, beaded edging, which only adds to the excellent art deco design. 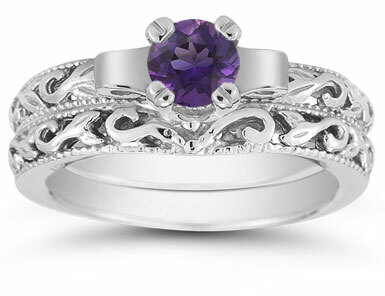 A single 5mm amethyst gemstone raises the stakes for this ring, set in the same brilliant white gold and highlighted with an equally bold setting. 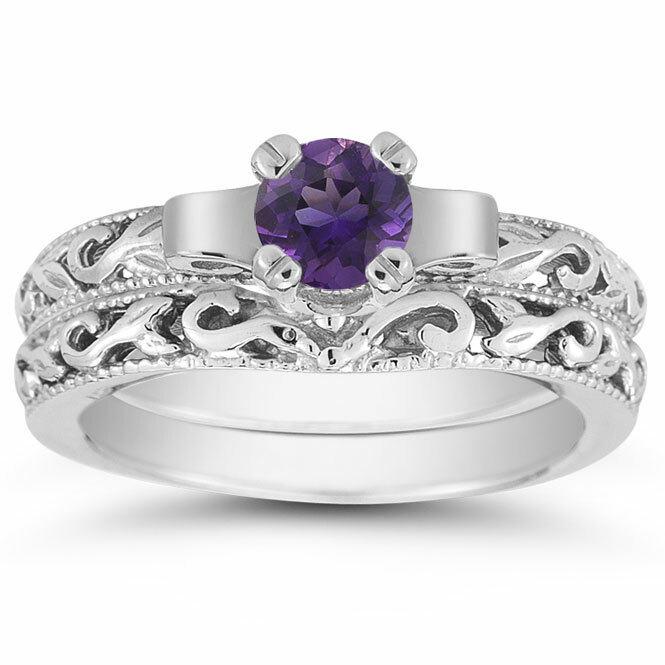 We guarantee our 1/2 Carat Art Deco Amethyst Bridal Ring Set, 14K White Gold to be high quality, authentic jewelry, as described above.